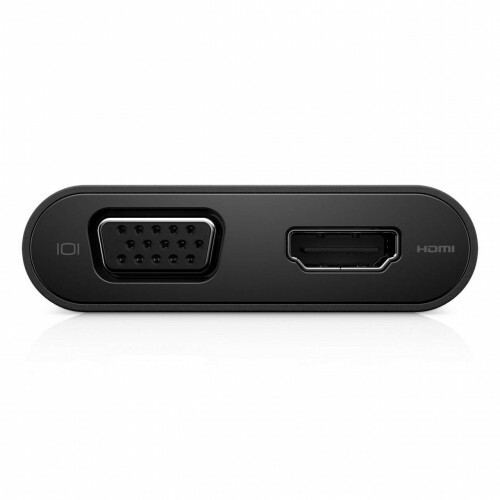 Dell DA200 Adaptor USB-C to HDMI/VGA/Ethernet/USB 3.0 offers a plug-and-play solution for connecting your laptop or notebook to an external display and other essential devices. This adaptor also features an Ethernet port, which means it can replace as many as three dongles to save you space on your desk and in your bag. Onboard USB 3.0 means you still have an open port to connect to USB peripherals. 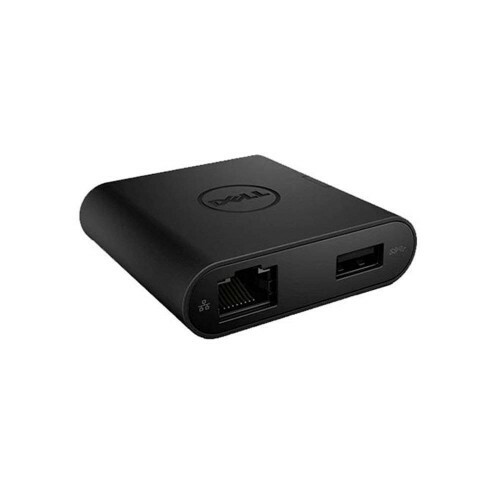 The Dell Adaptor - USB-C to HDMI/VGA/Ethernet/USB 3.0 lets you connect to wired networks via an Ethernet port when needed. 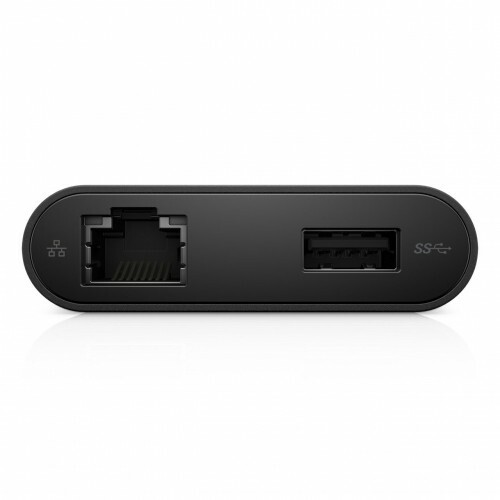 This ensures that you can connect to the Internet and stay productive in virtually any environment.Using the included USB 3.0 port, you're free to connect to a range of everyday peripherals, such as printers, scanners and external hard drives.